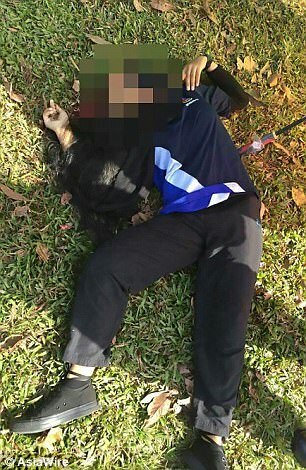 A girl's head was split in half and two of her friends were injured when a lawnmower's blades flew off at high speed. 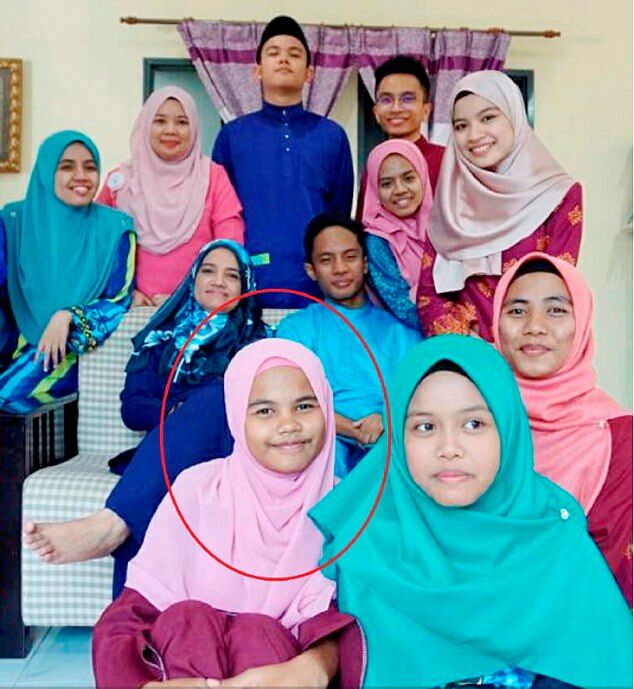 Nur Afini Roslan, a student at the Tuanku Abd Rahman secondary school in the town of Gemas in the south-western Malaysian state of Negeri Sembilan, was on the school playing field when the accident happened. She was killed when the flying blade cut her head in two, local media report. The two friends the 14-year-old was with at the time were also injured, though not seriously. 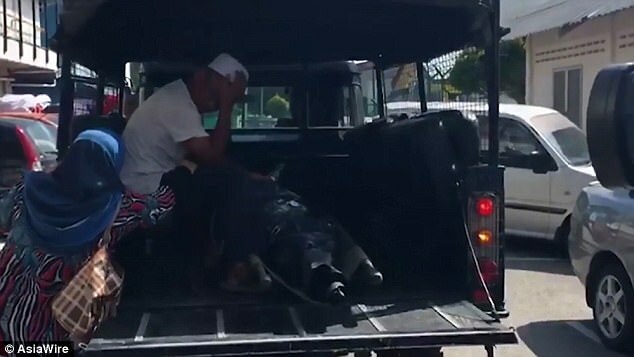 Police Superintendent Hamazah Abd Razak said the accident happened at 10.30am and that the girl was believed to have died instantly at the scene. 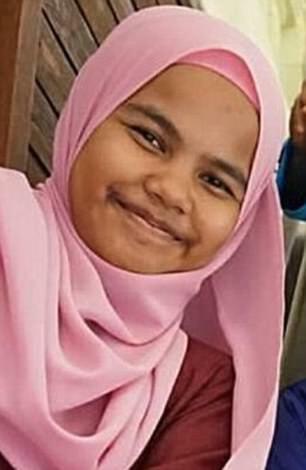 Her friends Mohd Farhan Reza Badrol Hesam, 13, and Abdullah Hazlan, 14, received 'light' injuries though they were not detailed in reports. 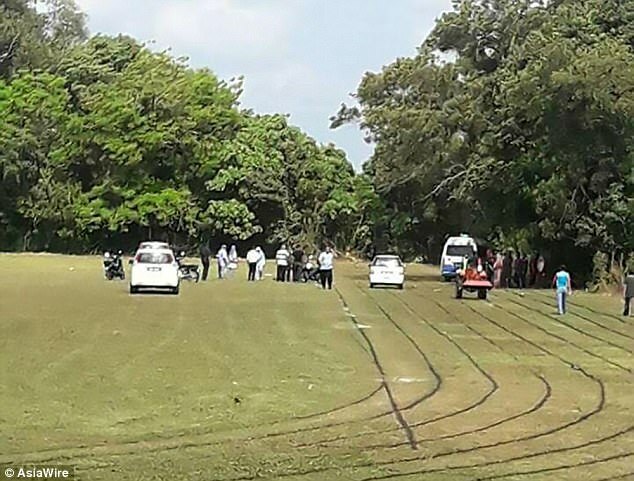 A small tractor seen in pictures of the aftermath of the incident is believed to have been pulling a mower attachment which malfunctioned disastrously. The superintendent added: 'We deployed a team to the scene upon receiving the emergency call. 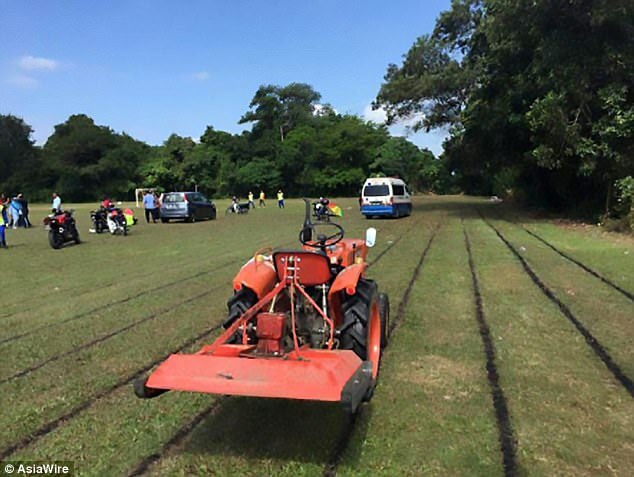 The identity of the person operating the mower was not released, and it was not clear who was responsible for its maintenance. Police say they are investigating the death.